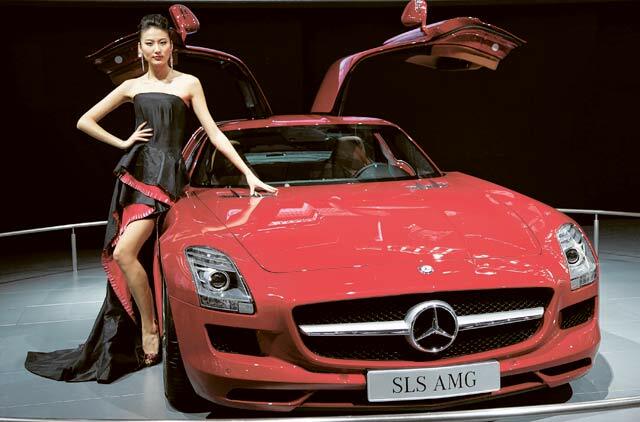 Dubai: The Mercedes Benz SLS AMG took the top honour at the Wheels Car of the Year Awards ceremony yesterday. The car, which also won the Best Supercar category, took away its double trophy thanks to its comfort, style and, as the Wheels editorial team stated in their verdict: "It costs a little more than the Hyundai, consumes marginally more fuel than the Fiat 500. If we were voting with only our heads, then maybe they'd be in with a fighting chance, but thankfully we get to use our heart as well." Frank Bernthaler, director of sales and marketing at Mercedez-Benz Cars, said the award was a confirmation of what they've already seen in the market. "The SLS since before its launch was very popular. We sold over 300 vehicles in the region last year and all the books are still full. It's not only a super sports car - if you look at the car very closely it is a good combination of heritage and history brought to life," he told Gulf News. Mercedes-Benz experienced good growth last year according to Bernthaler. "We had a shortage of product. So, from a business point of view, it was very good. We came out of the crisis very strong because our network is very strong,"
In the first month of this year, the company has already seen a 14.4 per cent sales increase compared to the same month last year and "we are very optimistic for a good 2011 as we will launch a series of models such as the C-Class coupe, the new CLS, the new SLK and the SLS roadster in the third quarter", Bernthaler said. The facelift of the popular C-Class is also expected to boost sales, he said. 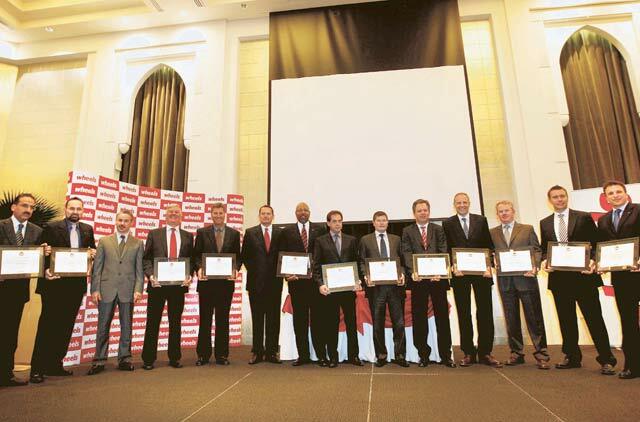 Chayne Brand, marketing director of Audi Middle East said its awards for the Best Sportscar for the Audi TT RS and the Best Convertible for the Audi R8 Spyder, "reaffirms their sport profile in the region". "In the UAE, we're up from last year already. We launched the Audi A8 at the end of November last year. We have a lot of new products coming through in the next quarter, such as the new Audi A7, the Audi A1 and the Audi A6, so we've very busy here and those will be huge growth opportunities for us," Brand said. According to Brand, the Audi Q7 and Audi Q5 still remain the strongest sellers in the region for the brand. Volkswagen walked away with the honours for the Best SUV for the Touareg, which remains one of the brand's best selling products in the region, according to Stefan Mecha, managing director. "We expect a 20 per cent growth this year which will be mainly determined by a new car we're going to bring to the region — the new Jetta. We're sure this is a car adequate for the region so we're going to lift sales on the basis of this new car," he said. The winners of the awards, launched last year, are chosen by the editorial team of Wheels magazine, a sister publication of Gulf News. The nominated cars had to be launched for sale in 2010. The event handed out prizes in 15 categories. Certain categories were also separated into price brackets. For instance, there are four categories for saloons based on varying levels of affordability. 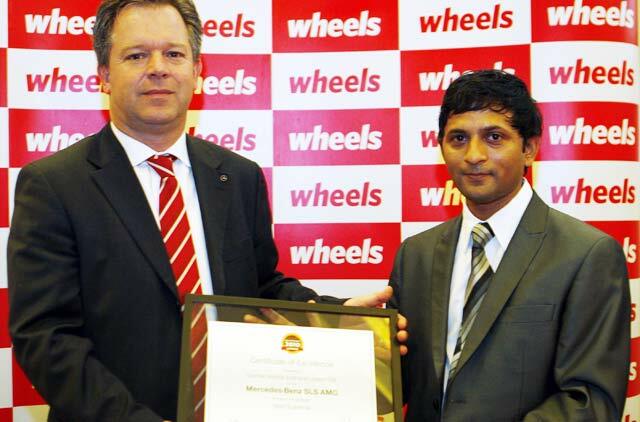 "The awards are Wheels' way of saying thank you to the industry and recognising all the products. This year it's been harder to select the winner as we've seen a lot more worthy cars come out," said Amit Benjamin, editor of Wheels.